Visit the Lusumpuko Women’s Club in Zimbabwe with G Adventures. Women’s travel used to mean that the travelers were all women and that was pretty much it. Nowadays, women are the focus of many travel experiences, with more and more tours aiming to shine a light on female empowerment in other parts of the world. For instance, Intrepid Travel’s launch of Women’s Expeditions, which started with trips to the Middle East, proved so popular that it grew from four to 36 departures last year, making it among the most popular category in the company’s history. This year, the outfitter has added new Women’s Expedition tours in Kenya, Nepal, India, and Turkey. The tours, all led by female guides, explore the customs, food, challenges, and lives of local women. They all include experiences that would otherwise be off-limits on regular departures, such as swimming on a female-only beach in Antalya,Turkey, or celebrating the female-only Gangaur Festival in Rajasthan, India. The 10-day Kenya expedition ($3,215 per person), led by Becky Kieha, the first female overland truck driver in East Africa, visits women, meets with female wildlife rangers and includes a cooking class. The trip to Turkey ($1,720 per person for 12 days) includes an afternoon with displaced Syrian women, a trip to sea with a female captain and participation in Gold Day Eskisehir, a day for women to socialize and help a friend in need. An all-female hiking crew explores Nepal ($1,895 for 13 days), and in India ($1,215 per person for 12 days), travelers will join the Gangaur Festival, explore Jaipur with the female rickshaw drivers, and visit shops benefitting marginalized women. 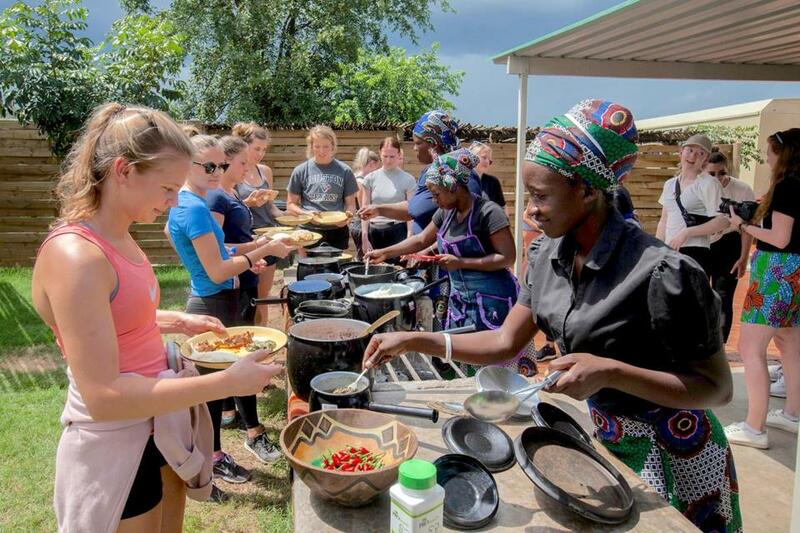 Tour operator G Adventures, which has its US headquarters in Boston, has expanded its “G for Good” social enterprise projects to include several more for women in Africa. Visits to the projects are built into many of its regular tours for adult women and men. The newest community development projects, which bring the total to 70 in 41 countries, were selected based on the potential economic impact of their travelers visiting Uganda, Zambia, and Zimbabwe and reflect G Adventures’ increase of travelers to Africa. The projects include Tribal Textiles in Zambia, an all-female community-run fabric workshop, café and market, which is visited by G Adventures’ 18-to-thirtysomethings guests; and the Lusumpuko Women’s Club, a group of 20 women offering cooking demonstrations and farm-to-table meals to G Adventures travelers visiting Victoria Falls, Zimbabwe.